David Caplan, Chairman of the Board of Directors, oversees the long-term direction of the company. He joined Objectivity in 1992 as President, CEO and Chairman. 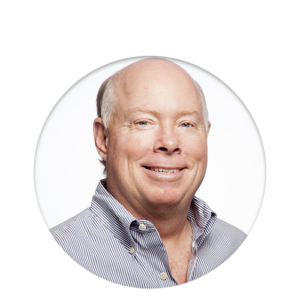 Before joining Objectivity, David served as an independent management consultant and interim CEO for startup companies including Legato Systems, Resonex and Photon Dynamics. Prior to that, he was President and CEO of Tolerant Systems, the predecessor company to Veritas Software Corporation. 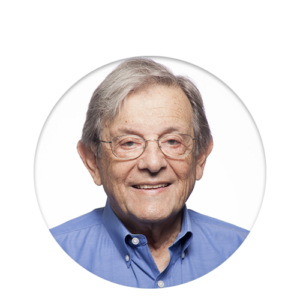 In addition, David was a General Partner of Adler and Company, a venture capital firm, from 1984 to 1986. David holds B.S. and M.S. degrees in mathematics from the Massachusetts Institute of Technology, an M.S. degree in electrical engineering from the University of Pennsylvania, and an EJD from the Concord Law School. John “Jay” Jarrell, President and CEO, leads the operations of Objectivity Inc., determining the company’s strategic direction and managing growth. Jay has a long history with Objectivity, Inc. starting in 1997 as the Vice President of Sales, and adding the Marketing group to his responsibilities shortly thereafter as Vice President of Sales and Marketing. Jay was elevated to President and COO in 2002, and in 2003 was named President and CEO of the company, while also being appointed to the Board of Directors. Prior to joining Objectivity in 1997, Jay was the senior director of sales and marketing for Creative Biomedics, a company specializing in network telecommunications equipment and software solutions. Previously, he held sales and marketing positions at Computer Associates and A.C. Nielsen Co. He holds a Bachelor’s degree from the University of Western Ontario in Canada. 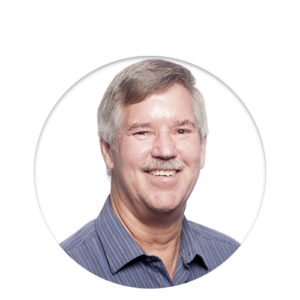 Gary Lewis, Chief Financial Officer, is responsible for all financial operations for Objectivity and also manages the human resources group. He joined Objectivity in May 2005 as Corporate Controller and was promoted to Chief Financial Officer in March 2006. Gary started his career with Ernst & Young in San Jose. Since then, he has spent more than 30 years managing the financial operations of a number of high-tech Silicon Valley companies. Most recently he was the Corporate Controller for AlphaSmart, Inc., a publicly traded company servicing the education market, and Vice President Finance for TechSpan, Inc., a software consulting company. Gary holds a B.S. degree in business with a major in accounting and a minor in mathematics from the California State University at Chico. He is a certified public accountant (CPA) in the state of California and is a member of the American Institute of Certified Public Accountants. Leon Guzenda was one of the founding members of Objectivity in 1988 and one of the original architects of Objectivity/DB. He currently works with Objectivity’s major customers to help them effectively develop and deploy complex applications and systems that use the industry’s highest-performing, most reliable DBMS technology, Objectivity/DB. 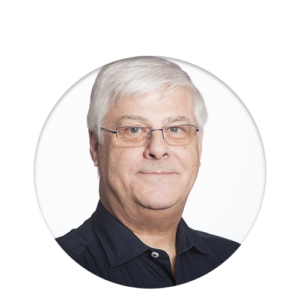 He also liaises with technology partners and industry groups to help ensure that Objectivity/DB remains at the forefront of database and distributed computing technology. 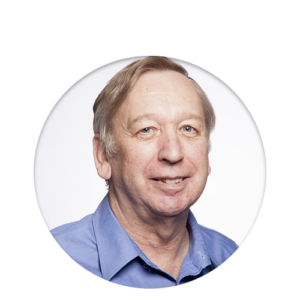 Leon has more than five decades of experience in the software industry. At Automation Technology Products, he managed the development of the ODBMS for the Cimplex solid modeling and numerical control system. Before that, he was Principal Project Director for International Computers Ltd. in the United Kingdom, delivering major projects for NATO and leading multinationals. He was also design and development manager for ICL’s 2900 IDMS database product. He spent the first 7 years of his career working in defense and government systems. Leon has a B.S. degree in Electronic Engineering from the University of Wales. Brian Clark has nearly 40 years of software and technology experience, and was one of the early architects of Objectivity/DB. Before joining Objectivity, Brian worked at Automation Technology Products, providing leading tools in the MCAD market. Prior to that, he was with Project Management Services at International Computers Limited, one of Europe’s leading computer companies at the time. Brian holds a B.S. degree in Computer Science from Sheffield University, England. Vijay is responsible for ensuring the quality of all products and satisfying customer requirements promptly and efficiently. 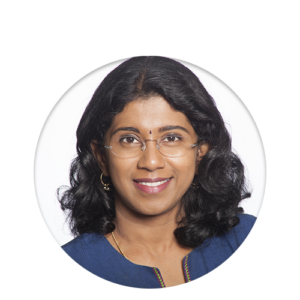 She joined Objectivity in 2000 as a Technical Support Engineer and has since then been elevated to management positions serving product development and customer support. Her persistent focus on achieving business objectives and pragmatic approaches to project management ensures on-time, quality product delivery to our customers. Vijay holds a B.S. degree in Electrical Engineering from the University of Calicut. 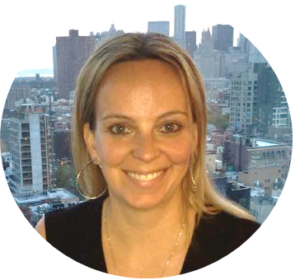 Kim manages Objectivity’s worldwide sales and marketing operations. She is responsible for handling customer, distributor, and other partner relationships with regard to business development, licensing, contracts, and successful customer deployments. She also works closely with Objectivity’s CEO and CFO for forecasting and planning. Kim joined Objectivity in 1999 and has held various positions within the sales and marketing departments. Kim holds a B.S. degree with a major in Business Management from Santa Clara University.